Fiat Chrysler's approach to marketing Pacific nationally reflects the reality that many Americans remain wary of cars with plugs. Fiat Chrysler Automobiles has taken a curious approach to marketing the only minivan in the U.S. that can run on a rechargeable battery: just call the Pacifica model a hybrid, and leave out the plug-in part. The omission is a deliberate one by the automaker’s marketing team because so many Americans still associate the word “plug-in” with risk of running out of battery. It will make one exception though, starting Thursday, in a single state: California. Consumers in California -- home to Tesla Inc., environmental-activist Gov. Jerry Brown and zero-emission vehicle mandates -- are different, said Tim Kuniskis, head of FCA's passenger-car brands in the U.S. The phrase “plug-in” doesn’t scare buyers there, and the automaker’s sales team is putting the wording to use for a state-specific campaign. “People here see it as a benefit and understand that that’s worth more,” Kuniskis said in an interview. Plug-in hybrids like the Pacifica run like a pure electric vehicle -- say, a Tesla -- when the battery has been charged. Once it runs out, the gasoline engine starts up and the vehicle operates similar to a traditional hybrid, like a Toyota Prius. Fiat Chrysler’s approach to marketing Pacific nationally reflects the reality that many Americans remain wary of cars with plugs. Even in California, fewer than a quarter of respondents in a University of California, Davis survey said they had seriously considered a pure electric vehicle for their household. The contingent of California buyers that are interested understand the value of plug-in hybrids, said Jessica Caldwell, a Santa Monica-based analyst with auto-market researcher Edmunds. In addition to being more fuel efficient than conventional hybrids, they qualify for bigger government incentives. FCA's state-specific marketing campaign kicking off Thursday, called the Charge Across California Tour. The first stop on a series of presentations and test-drives will be at ChargePoint Inc., which makes electric-vehicle charging units for homes and commercial sites. Most of the tour stops for demonstrations will be at workplaces that encourage employees to drive electric vehicles, including Oracle Corp. and Adobe Systems Inc. A California-only broadcast and digital campaign will follow that touts the plug-in hybrid technology. 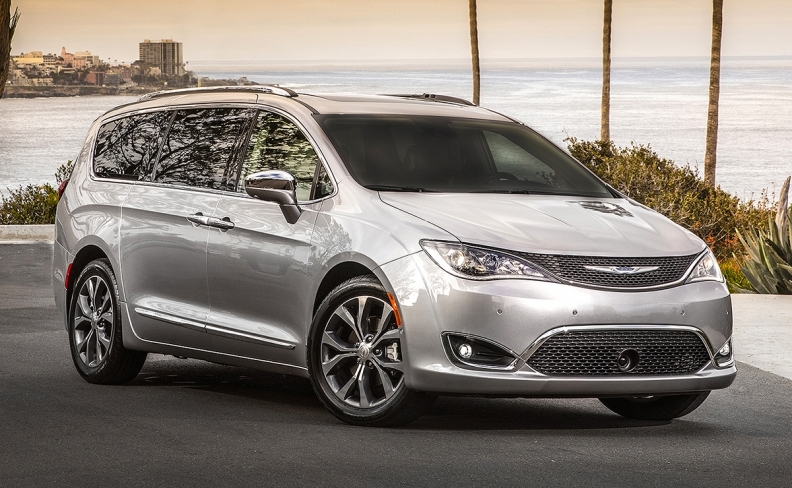 Eventually, Chrysler plans to take the full plug-in hybrid phrase to the rest of the country. “Five years from now ‘plug-in’ will not be scary to anybody,” Kuniskis said. But for now, it’s still outside of the comfort range of the typical customer shopping for a Pacifica.